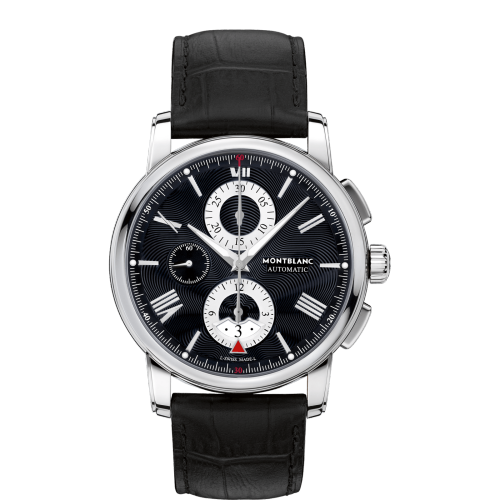 Hello everyone, today we’re doing something a little different and featuring a luxury German watch brand, Montblanc Watches. I don’t often feature costly luxury brands but I was taking a look at the brand recently and decided I wanted to include them on the site. If you don’t quite have the budget for these you should check out my 100 best watches under £1000. Montblanc are a huge company that produces a range of luxury items including pens, leather, watches, jewellery, sunglasses, perfume, and cufflinks. 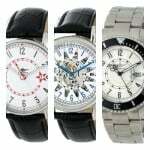 They’re a German brand but all the watches featured below are Swiss made to the highest standards. 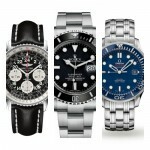 Their watches are well built and include some of the highest quality components available. I’d definitely consider Montblanc watches to be good myself. 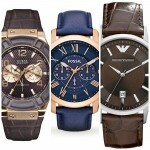 It just comes down to whether or not you prefer affordable watches or luxury timepieces. Personally, I tend to side with getting multiple affordable watches over a single luxury watch, but it really comes down to budget as these are a little out of my range. If you have any questions about any of the Montblanc watches featured just comment below and I’ll try and assist you as quickly as I can. 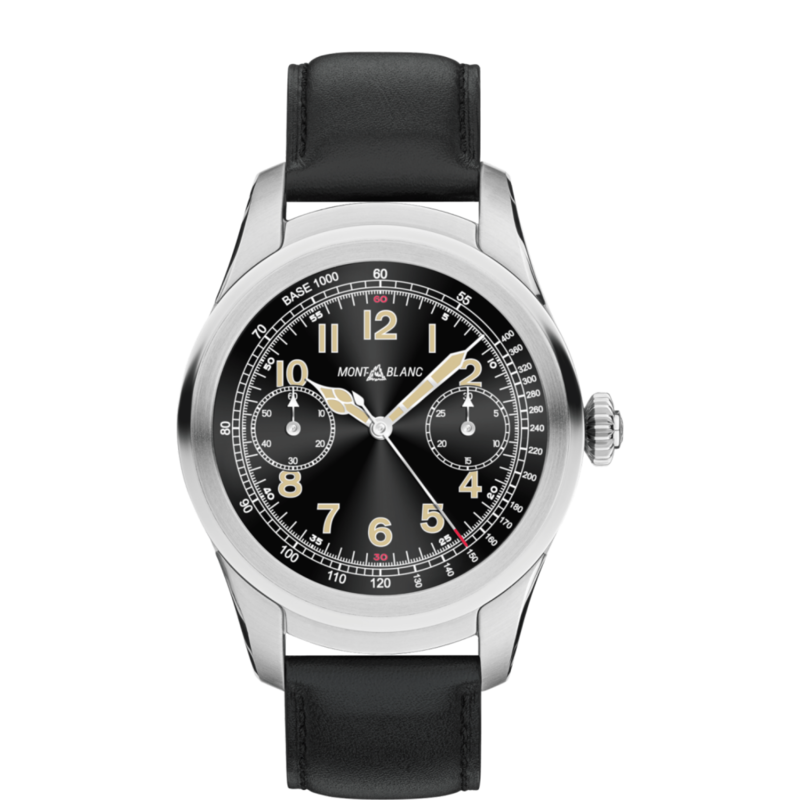 First up on today’s list of the top Montblanc watches is this automatic timepiece. It features a larger 43mm stainless steel casing with a thickness of 13mm. This has been paired up with a black alligator leather strap with a stainless steel buckle clasp. The dial has quite a smart easy to read design with its silver coloured hands and hour markers standing out against the black background. The red triangle at the 6 o’clock position indicates the date. Both the central hands feature Super-LumiNova for full visibility in dim lit conditions. This Montblanc watch is powered by a self-winding automatic movement Caliber MB 25.07. This never requires a battery as it is charged up from the movement of your arm making it an Eco-Friendly choice. A sapphire crystal glass protects from scratching and knocks and even comes with an anti-reflective coating to reduce glare. You can read my full 115123 Montblanc watches review here soon. Next up in today’s look at Montblanc watches is this fantastic looking Summit smartwatch. I’ll touch upon the features of this men’s smartwatch in the next paragraph. This timepiece has a polished 46mm stainless steel casing that has a thickness of 12.5mm. The strap comes in black and is made of a soft genuine leather and fastens with a buckle style clasp. Now let’s take a look at those smartwatch features. The screen is an AMOLED display with a 400×400 resolution and multi-touch recognition. The watch is powered by Android Wear 2.0 which ensures it is compatible with iPhones and Android smartphones. It has an advanced performance with Qualcomm Snapdragon 2100 processor and ease of use. 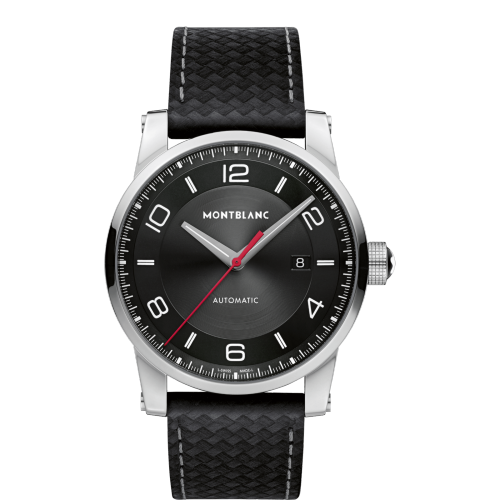 You can personalize it to your style with a selection of Montblanc watch faces and easily exchangeable straps. Extra features of the smartwatch include voice translation, navigation and boarding pass. Order a ride or set a world timer. Fitness features include heart rate monitor, altimeter and fitness tracking sensors. The preloaded apps include Runtastic, Uber and Foursquare, you can add to this list by downloading directly through the watch over WiFi. You’ll be able to download and store plenty of songs with the 4 GB of memory too. The watch is powered by a quartz movement with a full-day battery capacity that can be recharged within 2 hours. A domed sapphire crystal protects the watch from scratches and knocks. You can read my full 117744 Montblanc watches review here soon. Here we have another very smart looking Montblanc timepiece. This automatic watch features a stainless steel 42mm casing with a thickness of 13mm. It’s been paired up with a genuine leather strap that fastens with a buckle style clasp. The dial has a simple design to it that reminds me of racing watches, to be honest. The silver-tone hands and Arabic numeral and index hour markers stand out boldly against the black background of the dial. The lume that’s found on the hands and hour markers makes them easier to read in dim lit conditions. Powering this Montblanc watch is an automatic Calibre 42.09 self-winding movement, this has a power reserve of 42 hours. You can see this movement working away through the exhibition caseback on the rear of the watch, one of my favourite features. A scratch resistant sapphire crystal glass protects the front of the watch from knocks and scratches. It also has a basic 30m water resistance rating. You can read my full 113877 Montblanc watches review here soon. 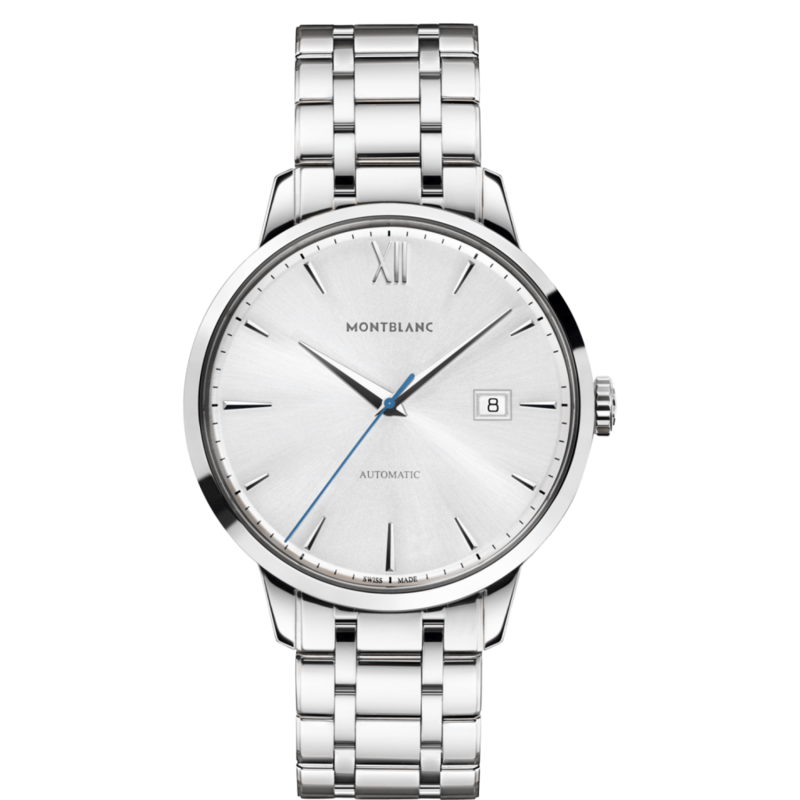 In at number 4 we have the Montblanc Heritage Spirit date automatic watch. This model featured a round stainless steel casing with a 41mm diameter and 10mm thickness. The strap is also made of stainless steel and fastens with a double push release butterfly clasp. This timepiece keeps to the values of the Montblanc Meisterstück and features the finest Swiss watchmaking codes: pure elegance, applied indexes, faceted hands in a Dauphine shape. I really like the use of the blued central seconds hand as it adds a simple dash of colour to the design. Powering this men’s Montblanc Heriateg watch is an automatic self-winding 42.17 Calibre movement. This movement has a 38 hour power reserve and beats at 28,800 BPH giving it a really smooth sweeping hand, it has 26 jewels on it. You can view this movement through the exhibition style caseback on the rear of the watch. A domed sapphire crystal glass protects the watch from scratches and knocks. It also has an anti-reflective coating to reduce glare. This timepiece has a 30m water resistance rating. You can read my full 111581 Montblanc watches review here soon. 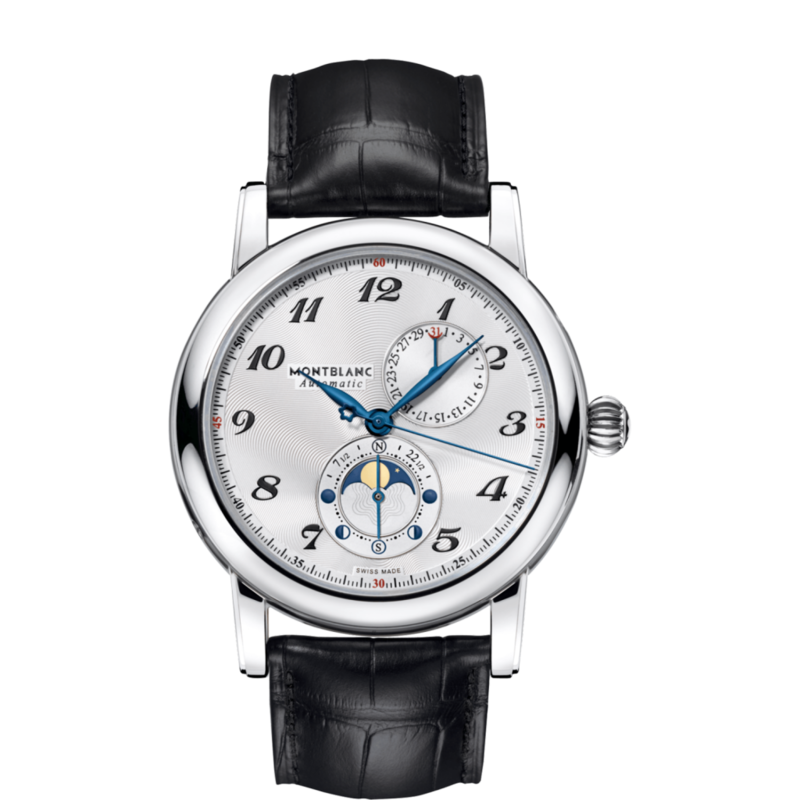 Last up on our list of the top Montblanc watches for men is this Star Twin Moonphase edition. The casing of this timepiece is made of stainless steel with a diameter of 42mm and a thickness of 13mm. The strap comes in black and is made of Alligator leather and fastens with a stainless steel triple folding clasp. I love the design of the dial on this watch. It features a silvery-white coloured background with black indexes and numeral style hour markers. The blued steel feuille hands look great and add a nice touch of colour to the design. A key feature of this timepiece if the Moon-phase complication for the northern and southern hemispheres as well as the moon age. Powering this Montblanc watch is an automatic 29.13 Calibre self-winding movement with a 42 hour power reserve and 25 jewel finish. It beats at a frequency of 28,800 BPH which makes it very accurate and gives it this sweeping second hand. A domed sapphire crystal glass with anti-reflective coating protects the watch from scratches and knocks. You can read my full 110642 Montblanc watches review here soon. 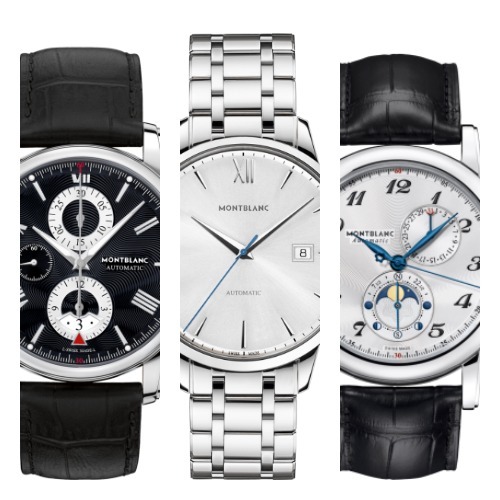 Thanks for taking the time to read through today’s top 5 Montblanc watches review. What was your favourite model? Comment below and let me know.